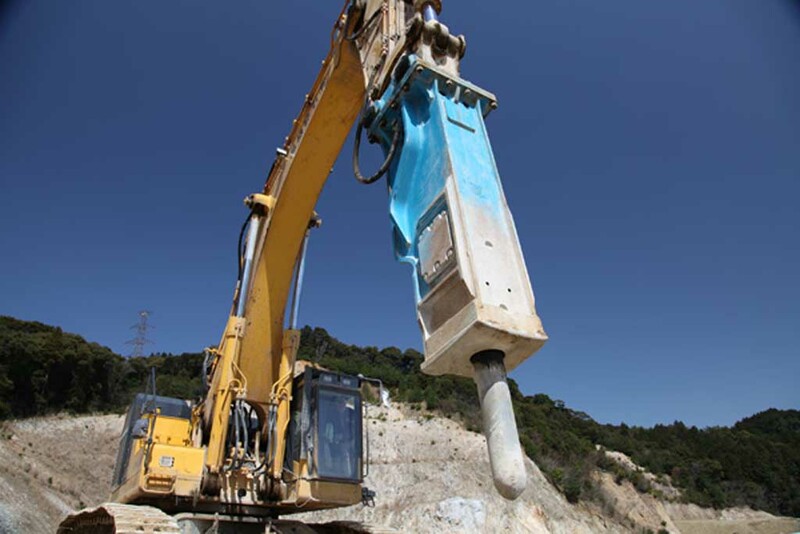 Toku’s large TNB hydraulic breaker range are suited to excavators from 20 to 70 tonne. 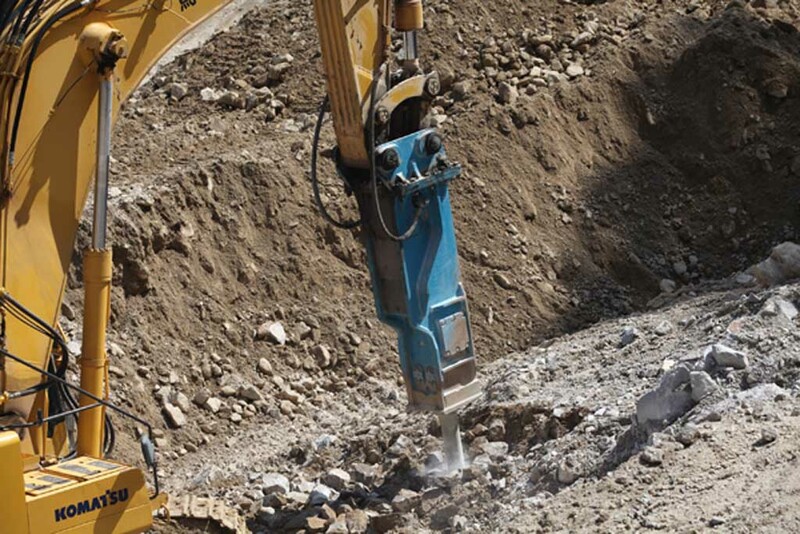 Nothing stands in the way of a Toku, with powerful impact force to get the job done efficiently and long product life for years of dependable use. 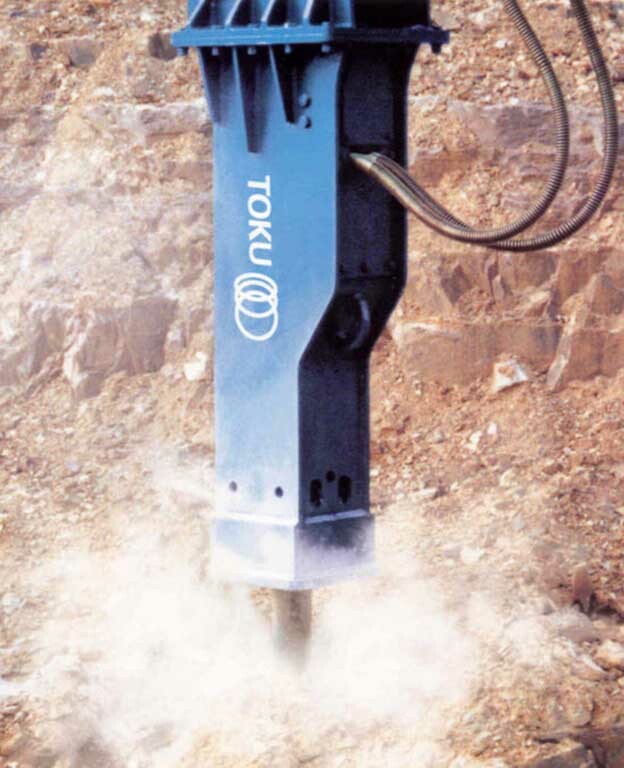 Created for a wide range of applications, Toku’s large TNB range is ideal for demolition work, civil construction, mining and much more. Cushion chamber allows every blow to be isolated from the carrier and operator, recycling and generating energy for the the next operation. 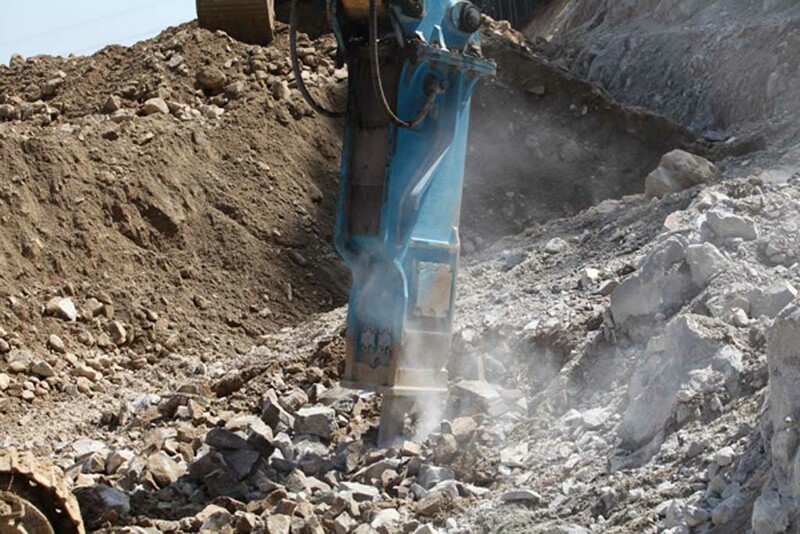 70% of breaker impact energy is generated from nitrogen gas pressure in the cushion chamber, the remaining 30% of energy is created from the operation oil circuit. The 50/50 piston to tool weight ratio efficiently transfers blow energy into the material to reduce recoil. 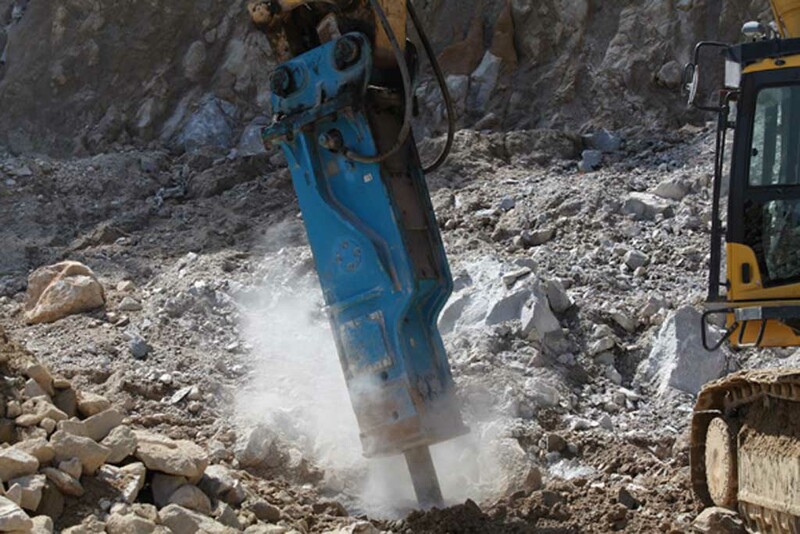 The long stroke piston enables a more powerful impact energy while increasing stability when recoiling. 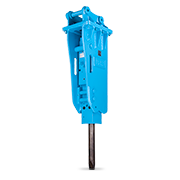 Using a low pressure nitrogen charge, Toku breakers help cushion every blow, reducing wear and tear and providing operator comfort. 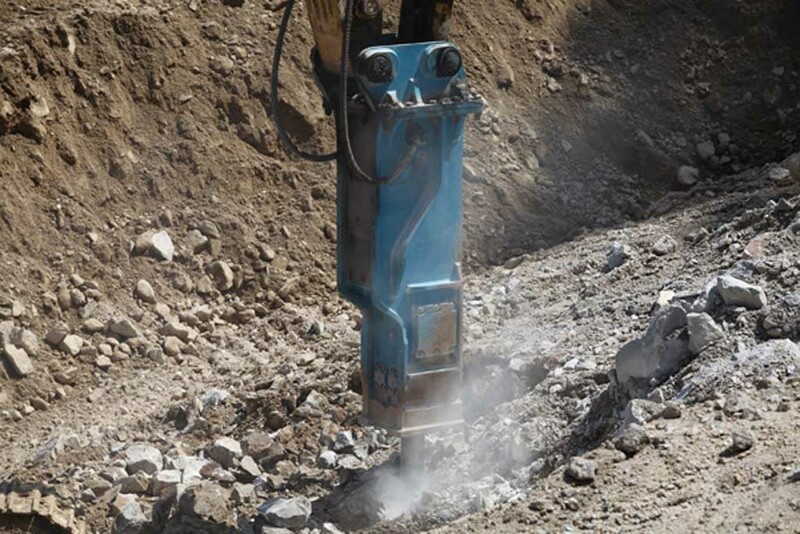 Dust preventing valve ensures that the cleaner air from the upper part of the breaker is recycled through the impact chamber and blows dusty air to the bottom. Dust preventing valve can also be used for underwater applications to lead high pressure air from an air compressor. 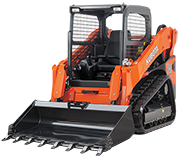 With an innovative side plate and bracket system Toku breakers can be powered by a wide variety of manufacturers and equipment, from skid steer loaders to compact excavators. 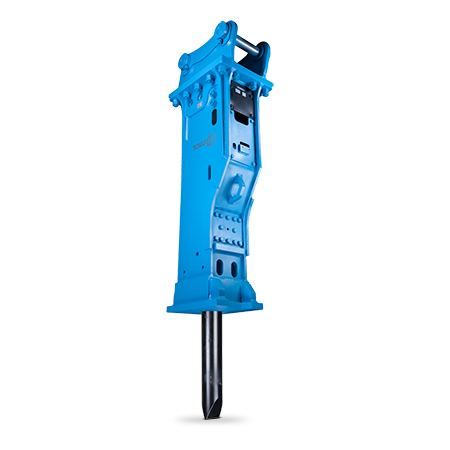 Direct and independent grease supply to the chisel bush and chisel holder bush ensure maximum chisel life when operating. Dual oval retainer pins guarantee precision alignment, easy tool replacement and longer operating life. Accumulator free design and only two moving parts keeps maintenance simple and low cost. Short oil path between the control valve and cylinder reduces oil contamination and downtime.